Jessica Wright, PharmD, RPh, BCACP joined Mayo Clinic in 2016. Prior to working at Mayo Clinic, she helped implement Specialty Pharmacy services at Yale-New Haven Hospital, which grew from herself as the sole pharmacist to 8 total pharmacists in less than 2 years. Key contributions were developing tools in the electronic health record to increase the quality of care for patients receiving oral chemotherapy medications as well as developing strategic measures to improve sustained virologic response rates in patients with hepatitis C. Prior to implementing the Specialty Pharmacy services, she led an initiative to reduce readmission rates through transitions of care services at hospital discharge. Her education and training background includes earning her PharmD from Albany College of Pharmacy and Health Sciences in 2011. She completed her PGY-1 Pharmacy Practice residency at Erie VA Medical Center, then went on to complete her PGY-2 Health-Systems Administration pharmacy residency at Yale-New Haven Hospital in New Haven, CT. She became a Board Certified Ambulatory Care Pharmacist (BCACP) in 2014. In her role as a Pharmacogenomics pharmacist, she provides pharmacogenomics consultations to patients, educates health care providers and pharmacists, and is involved in pharmacogenomic practice improvement pilots. Dr. Wright has been instrumental in developing documentation tools, educational materials, and workflow processes to facilitate further implementation of pharmacogenomics. Believing in cleaner air for public health safety and our environment's future, she sold her car in 2014 and has been using a bike for the majority of her transportation needs ever since. Find her article in the Post-Bulletin dated March 31, 2018. Bio: Jessica Wright, PharmD, RPh, BCACP joined Mayo Clinic in 2016. Prior to working at Mayo Clinic, she helped implement Specialty Pharmacy services at Yale-New Haven Hospital, which grew from herself as the sole pharmacist to 8 total pharmacists in less than 2 years. Key contributions were developing tools in the electronic health record to increase the quality of care for patients receiving oral chemotherapy medications as well as developing strategic measures to improve sustained virologic response rates in patients with hepatitis C. Prior to implementing the Specialty Pharmacy services, she led an initiative to reduce readmission rates through transitions of care services at hospital discharge. Her education and training background includes earning her PharmD from Albany College of Pharmacy and Health Sciences in 2011. She completed her PGY-1 Pharmacy Practice residency at Erie VA Medical Center, then went on to complete her PGY-2 Health-Systems Administration pharmacy residency at Yale-New Haven Hospital in New Haven, CT. She became a Board Certified Ambulatory Care Pharmacist (BCACP) in 2014. 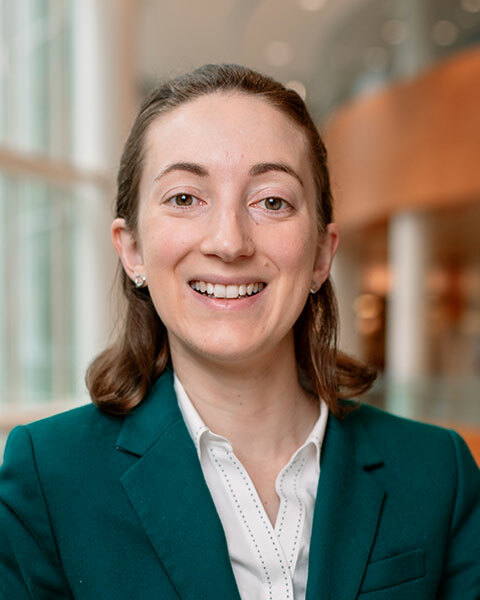 In her role as a Pharmacogenomics pharmacist, she provides pharmacogenomics consultations to patients, educates health care providers and pharmacists, and is involved in pharmacogenomic practice improvement pilots. Dr. Wright has been instrumental in developing documentation tools, educational materials, and workflow processes to facilitate further implementation of pharmacogenomics. Believing in cleaner air for public health safety and our environment's future, she sold her car in 2014 and has been using a bike for the majority of her transportation needs ever since. Find her article in the Post-Bulletin dated March 31, 2018.